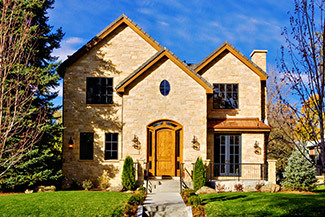 If you’re searching for property management services in Castle Rock, Co you’ve come to the right place. Throughout our years of professional experience in property management, we have established an exceptional reputation and maintain an extensive range of properties. This includes single family homes, condominiums, and multi-unit apartments. Evolve Real Estate & Property Management is the best fit for you if you are in search of a knowledgeable property management company that you can trust. Our services are always designed with the aim of increasing the Return on Investment (ROI) for our local and out-of-state investors. We have carefully designed our property management services to aggressively work toward reducing operational costs and increasing our clients’ cash flow. It is part of our standard process to ensure that your investment is well-maintained and occupied by high-quality occupants. This means that the occupants who will occupy your property possess key characteristics such as being honest, creditworthy, responsible, neat, and above all, able to pay the rental fees without issues. Our team diligently strives to ensure that our clients earn the best ROI. With our reliability, responsiveness, and the quality of work that we provide, you can rest assured that our and professional and well-experienced property managers will take care of your investment. Comply with all relevant local, state, and federal laws. Advertise your property to potential occupants. Enforce the terms of the rental agreement. Liaise between you and the occupant through prompt and practical communication. Present you with comprehensive statements. Conduct a comprehensive screening process for all occupants. This includes verifying rental and employment details, credit history, criminal records, and eviction checks. Inform the occupant of the rental payment terms and maintenance required for the property. Secure a formal documentation that confirms the property’s condition at the time of their move-in. This is done by documenting your property’s condition prior to the occupant moving in. Prepare the lease agreement in accordance with Colorado’s regulations. Ensure that the occupant has properly executed all of the agreements before they start moving into your property. Before the tenant starts moving in, collect the mandatory fees such as the first month’s rental fee and security deposit in the form of a cashier’s check. Conduct timely rent collection at the start of each month. Serve a late notice if the occupant fails to pay in a timely manner. If our attempts to collect rental payments don’t yield the desired action from the occupant, we will begin the eviction proceedings accordingly.. We’ll only take this route after exhausting other possible options. This way, we avoid the messy and costly process of eviction as much as possible. We take property maintenance seriously. To help ensure that your property will be in its best condition, our team of managers will ensure that they promptly coordinate with you any necessary maintenance or repairs on the property. Conduct a walk-through inspection to confirm that the occupant returns the property in the same condition as when they were moving in. Retrieve the keys from the occupant. Return all or a part of the occupant’s security deposit amount. Any deductions taken from the occupant’s security deposit will be disbursed over to you. Our attention to detail, direct and timely communication, high level of professionalism, and outstanding performance enable us to facilitate a personalized and responsive service. Get a free consultation from us and learn more about the services that we offer by calling us today! Castle Rock, CO is a quickly developing most southern suburb of Denver that offers many opportunities. Castle Rock was named #4 on Money’s list of places to live in America. Castle Rock Adventist Hospital, which opened in 2014, brought 500 new jobs to this suburb. A new indoor athletic complex is being built and will open fall of 2015. And there’s more to come. The city is rapidly growing. But there’s still old town charm if you venture into downtown Castle Rock. There are lots of community events, including a holiday Star lighting festival, when a star is lit on the town’s namesake rock formation. The school district in Castle Rock is one of the best in the state. Then there’s the biggest selling point of Castle Rock – the great outdoors. Castle Rock boasts thousands of acres of open space. No wonder Caste Rock’s home values have gone up 11.8% in 2015 according to Zillow. The median rent price of $2125 is much higher than that of Denver Metro median price.